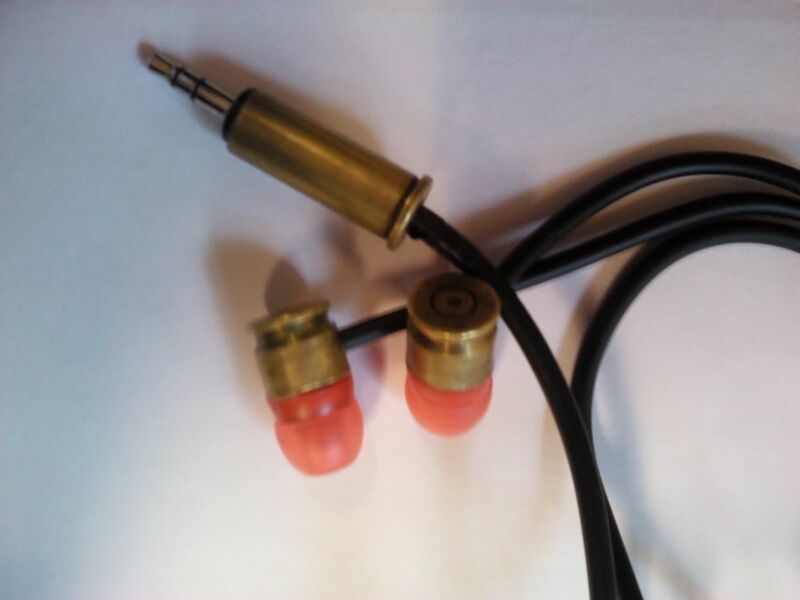 So, a little while ago, i posted an instructable for my bullet earbuds. they were too clunky for every day use, and were a pain to make. here is the version 2. The 'business ends' were built from cut down 7.62mm bullet casings with a hole drilled in the side for the wire basically, the speakers and red plastic bits were hot glued into it, intil they fitted. The solder join between jack and 'buds is something which i do (miraculously) have photos of, so read the descriptiond. The jack was pre fitted and insulated into the wire, so i just drillesd a hole in the back of a fired .357 casing and pressure fitted it over the jack. (most of this was built in my lunch hour at school, so i didn't have much time to take photos...sorry ). Very nice! Looks really Steampunk, Love it! @kondzio29; In response to your comment of 'but how' i need to clarify a something. if it is a particular aspect (such as how i did the solder joins), please make it a little clearer which bit you don't understand, as it would be helpful to me to know what needed further explanation or editing' . The annotations on my pictures should (hopefully) give a clear idea as to how i made the full project to those with basic soldering and tinkering know-how, but i appreciate that to a novice, a few more pictures would be helpful. However, i made them in a lunch hour, with little forward planning, so a few tasks were undocumented by camera due to maker (My) error. Also, if you want to execute this project exactly, i can PM you measurements. please reply to this comment, as it would help me improve aspects of my 'ible. i used 9mm speakers (from an existing pair of earbuds) in 7.62mm casings (cut down. the plastic bit that actually goes into your ear was also salvaged from an old pair of earbuds, and just happened to fit. was that any help? i can probably find the brand of earbud i used if you would like to know it.